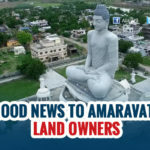 The continuous rain again exposed the chinks in the construction of the Interim Government Complex (IGC) at Velagapudi in Amaravathi on Tuesday. The offices of Water Resources Minister Devineni Umamaheswara Rao and Human Resources Minister (HRD) Ganta Srinivasa Rao located in the fourth block of the Secretariat witnessed the seepage from the roof. The ceiling in their chambers came off leading to seepage of water. The false ceiling in the Stamps and Registrations department also came off. Furniture in the office of Principal Secretary (Water Resources) Sasi Bhushan got drenched. The Assembly house-keeping staff was pressed into service to clean the premises and pump out the water. The officials concerned were directed to ensure that such instances did not happen again. Municipal Administration Minister P. Narayana inspected the fourth block. Later speaking to the reporters, he asserted that there were “no problems” with the construction. The water was entering the offices as the duct sheet that was covering the slab was not intact. The officials were asked to remove the sheet and take corrective steps. The agencies that constructed the IGC would have to take up the repairs for two years. “It is a very minor problem. Don’t blow it out of proportions. Small problems are bound to be there even if we construct a house of our own,” he claimed. Rain water seeped into some chambers including that of Leader of the Opposition YS Jagan Mohan Reddy and the corridors on June 7 through a PVC pipe which was carrying AC cables forcing the staff to put plastic buckets at the leakage points. 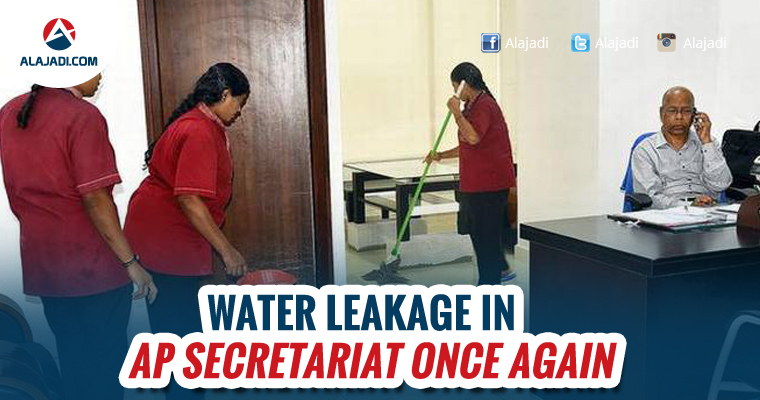 Work of the revenue staff in another chamber was affected due to the leakage. 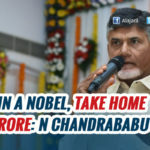 The leakage turned into a political issue with the Telugu Desam Party (TDP) alleging foul play by the YSR Congress leaders. The Opposition hit back attributing it to substandard work. Assembly Speaker Kodela Sivaprasada Rao even ordered a CID enquiry. The CID, which investigated the incident, suspects that the negligence of workers in not covering the pipeline properly might have resulted in the seepage.